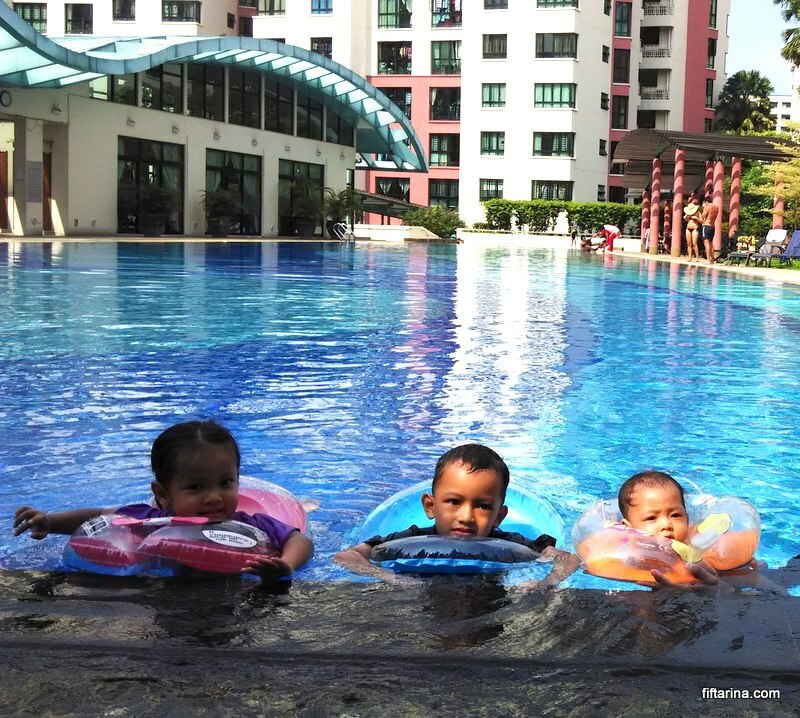 We reached my sister’s house around 9:30 am, and the boys went straight to the pool. The girls (my mom, my sister, me, and the two baby girls) had a short chit chat before joining the crowd on the pool. That day Khadijah tried to swim for the first time. We borrowed her cousin’s floating device to be secured in her neck. To our surprise, she enjoyed being in the water and didn’t seem to feel cold. In fact, she kept kicking her legs in the water. The funny thing happened when she came out from the pool. I just realized that she didn’t wear a swim diaper and as the result her diaper was overloaded and exploded to jelly. The jelly is scattered all over body and almost end up in her mouth, haha. What a funny mess. 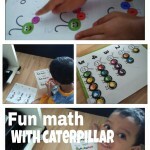 After lunch, Abdurrahman and Afa (his cousin) created some craft using pom pom, pipe cleaner, and wooden clothes pin. 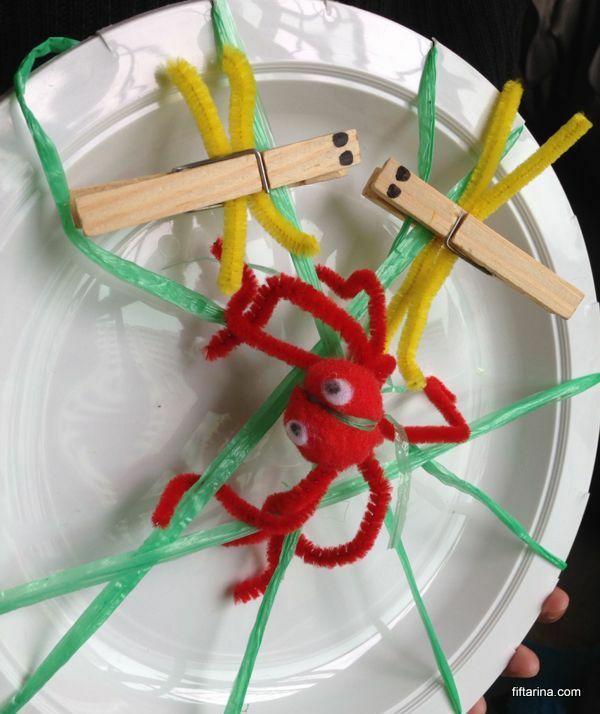 We created spider pompom ( complete with its spider web), some dragonflies, and we also played feeding baby bird. 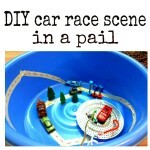 This is a fun activity that Nicolette from Powerful Mothering shared in her blog. 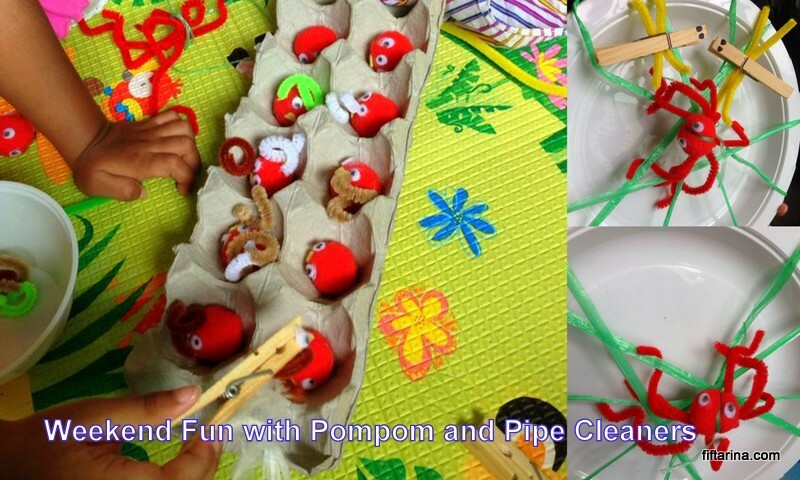 The baby birds were made out of pom pom, and the worms from swirled pipe cleaner. The mother birds are made of clothes pin. 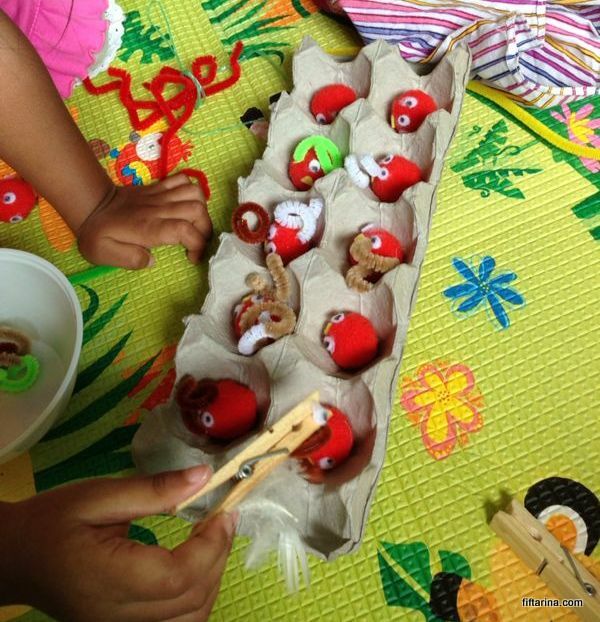 So the kids got a lot of fine motor skill practice by pretending as a mother bird feeding the babies with worm. For easy-to-prepare lunch, we order kfc family feast from its app. They have some amazing deal online and via apps. All in all it was an amazing day. I’m glad that we can spend quality time with relatives while the kids having fun as well. What did you do last weekend? Did you have fun with your family? 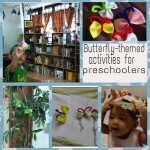 Many thanks for your creative idea! I love the creative idea! 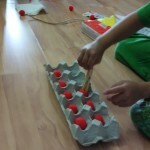 I find that there are endless things to make with egg carton boxes. Gotta try this one! We made turtles out of egg cartons too.